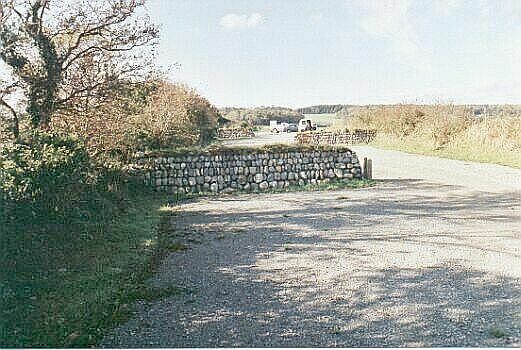 Clawdd projects have included traffic calming measures in the Spinneys Nature Reserve car park, Bangor (left). 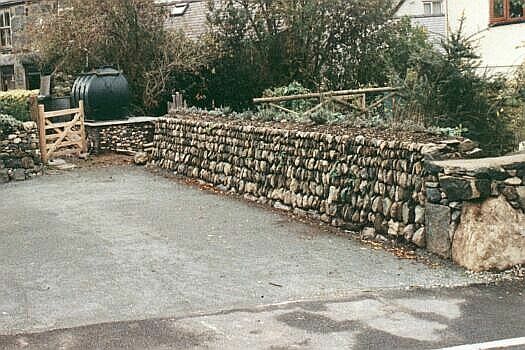 In 2000 I was involved with the Dry Stone Walling Association`s Millenium Wall Project, where with the help of members of the Association`s north wale Branch I built a section of Clawdd to represent a ditinctive regional style (right). The largest Clawdd project I have en involved with was the Port Dinorwic by pass. Further examples of my cloddiau can be found at Tyddyn Isaf, Tal y Bont .